Sometimes an old engine will have an American made oil pressure sensor installed. In my case the conversion was made to work a needle gauge. For simplicity I wanted the original style pressure switch that controls a light. The problem then is the hole; it was over-taped to accept a 1⁄4 inch pipe thread that matches the sensor. 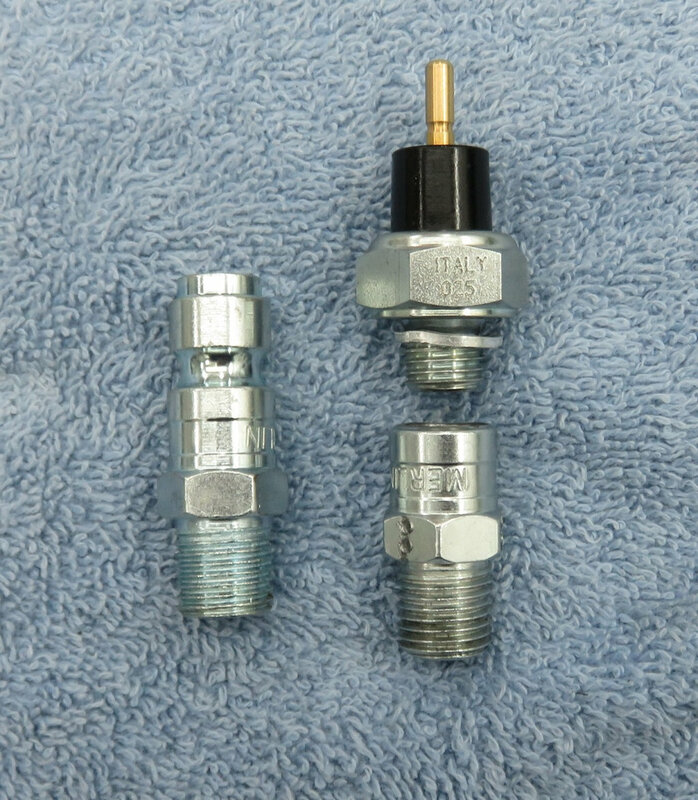 The replacement metric switch has a 12 mm × 1.5 mm thread. 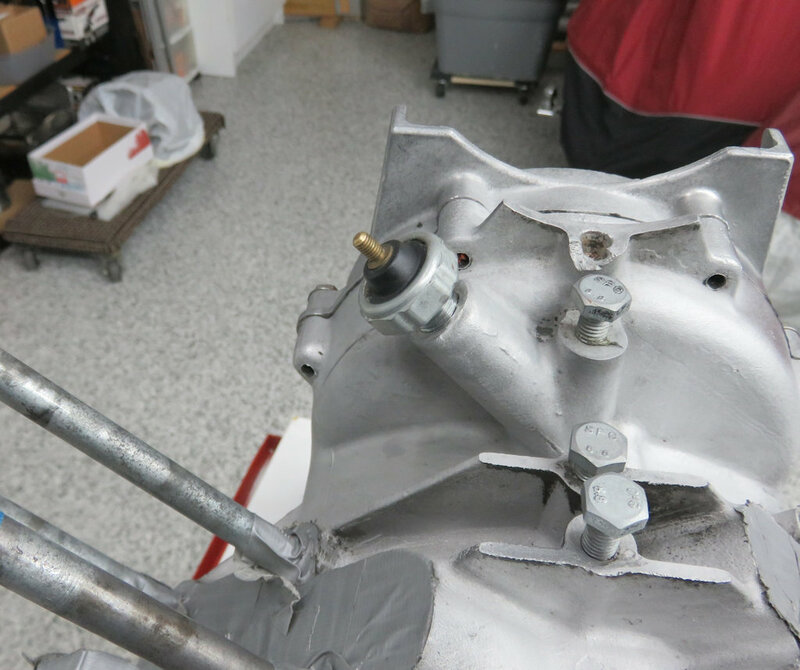 Anerican automotive oil pressure sender. Trying to modify some brass fittings to make an adapter didn't work. The solution is modifying a 3⁄8 inch air line quick-connect plug. It has the male pipe thread and enough material in the body to drill out and tap. It's plated and looks good. Cut off the top and drill into the body with 13⁄32 inch drill and tap with 12 mm × 1.5 mm. Air line plug before and after cut. 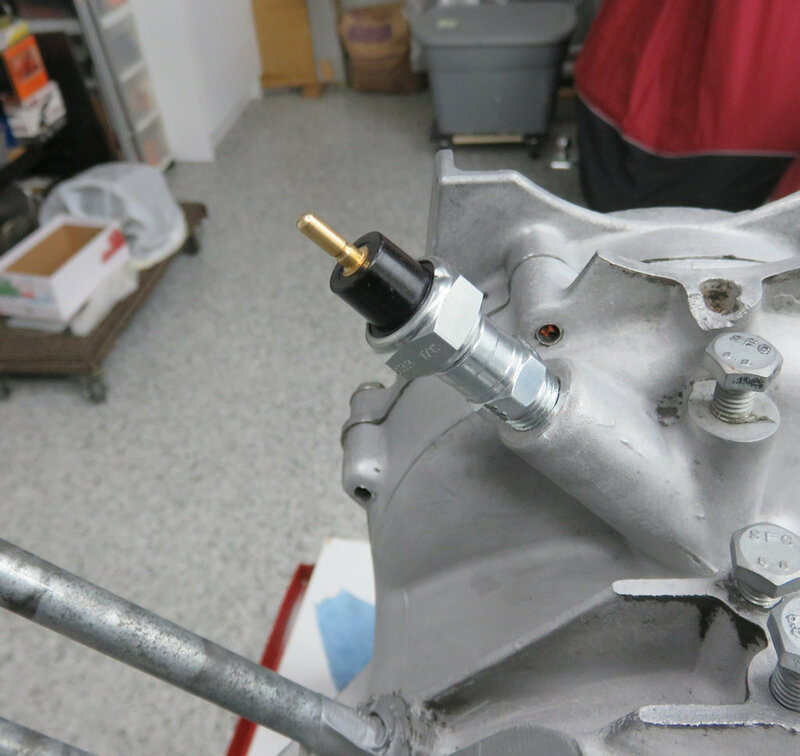 Metric switch thread adaptor installed.